Getting to know local gastronomy and local production. Dear friends, we have great news! Breakfast is served at the snack bar near the swimming pool every morning from 8:30 am to 10:00am. 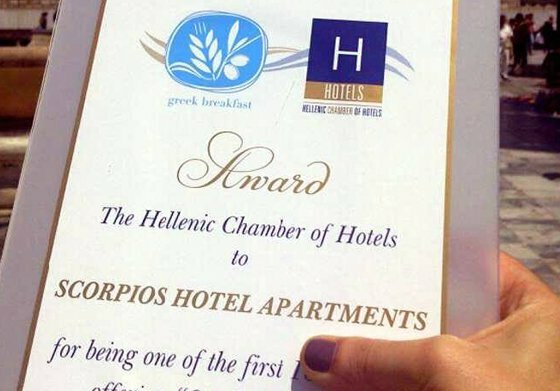 Scorpios Hotel is the first in Samos certified by the Hotel Guild to serve Greek breakfast and he have received an award for it! 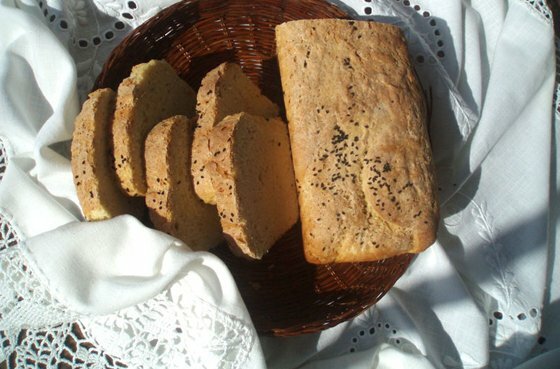 Our recipes are typically Samian , handed down by our grandmothers, made with local ingredients that are provided by local farmers; the only thing that we cannot find in Samos is fresh butter which we bring from Madamados in Lesvos. 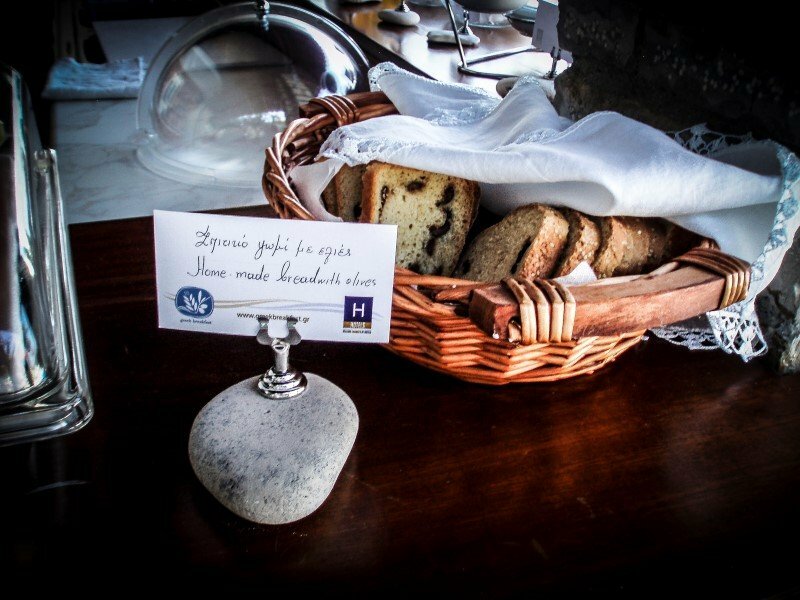 Every day we serve different flavors in order for you to taste as many local dishes as possible, but also local fruit and vegetables in season. 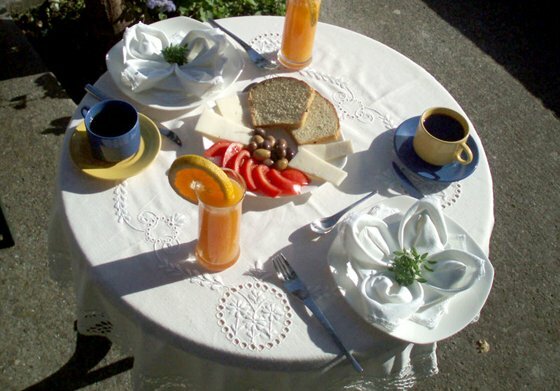 Fresh orange juice, hot or cold infusions of local herbs, Greek coffee (or filter), homemade jam made of fruit from our gardens, honey, fresh local eggs, graviera cheese, feta cheese, yoghurt with fruit or honey or fruit in syrup, rice pudding with orange, cottage cheese, homemade bread, paspala meat, stuffed rolls with cheese or honey, pumpkin cakes, chickpea dumplings, broiled eggs, stuffed omelets with vegetables or feta cheese, olives, cherry tomatoes, halvas of grandma Evdokia, baklava, custard pie, honey puffs, walnut pies, sesame bars. In all our recipes we only use extra virgin oil from Samos, even for frying. 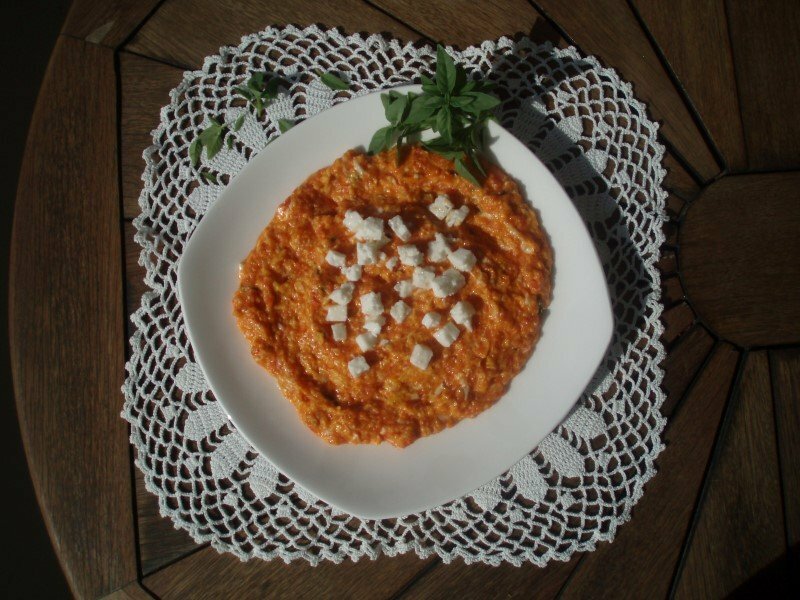 The secret recipe for halvas from Grandma Evdokia. 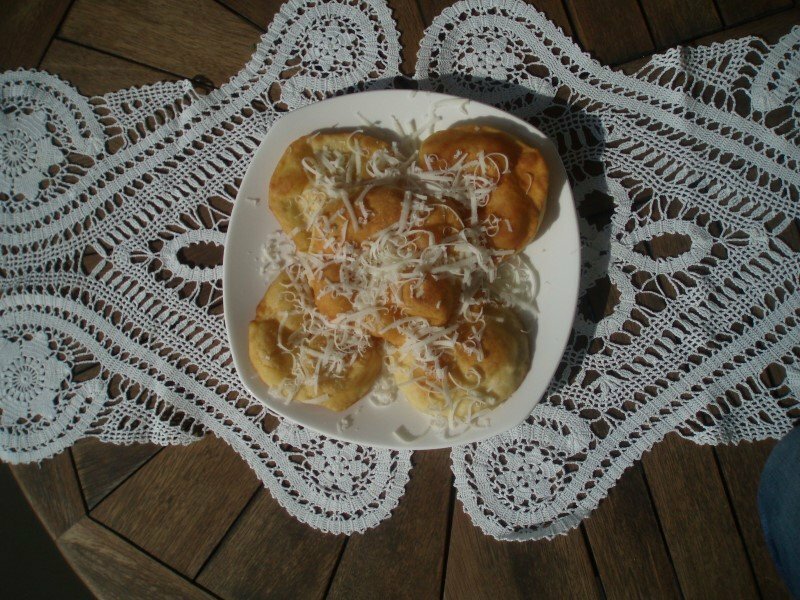 This recipe is from grandma Evdokia, who was born in Samos in 1881. ¾ of a tea cup extra virgin olive oil from Samos. Roast the semolina in a deep pan mixing regularly on low heat until they reach a golden colour. In another pan prepare the syrup boiling sugar, water and cinnamon for 7 minutes. Then add orange juice and keep boiling for another 2 minutes. Retrieve from stove and add orange zest. 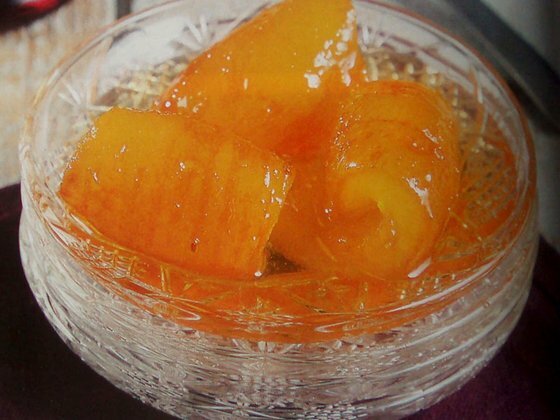 While it is still warm, add roasted semolina gradually, mixing continuously on low heat until the halvas stiffens. Serve immediately in individual bowls or in a large baking pan. 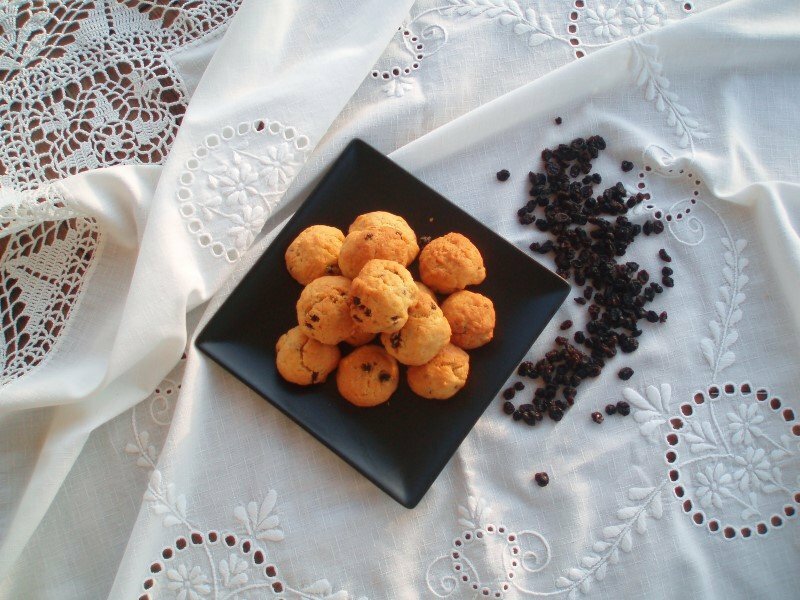 Let to cool, then sprinkle with cinnamon before serving to your loved ones. For the semolina to remain gritty, it should be roasted on low heat and when the syrup is added roast it until it looks like a smooth cream. Do not expect it solidify that much because it will become denser as it cools.